Just as the medieval church cut off the congregation from participating in the sung worship of the service, today many well-meaning Christian leaders have reconstructed a sung worship wherein congregational participation does not matter. We sit or stand as our medieval forbears did and watch others sing for us. .... Such a venue, produces a response in the hearer, one super-charged with raw emotion, but I wonder whether it is an emotional response produced by a mind renewed by deep consideration of the objective truths of the gospel of grace or by the music itself. We know by experience that singing has great force and vigor to move and inflame the hearts of men to invoke and praise God with a more vehement and ardent zeal. Care must always be taken that the song be neither light nor frivolous; but that it have weight and majesty (as St. Augustine says), and also, there is a great difference between music which one makes to entertain men at table and in their houses, and the Psalms which are sung in the Church in the presence of God and his angels. 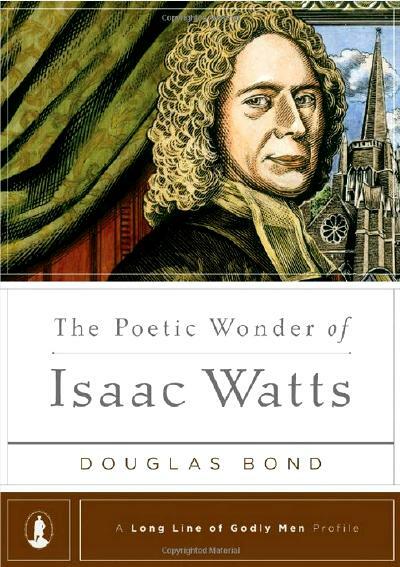 In an age of entertainment-driven worship, a recovered appreciation of Watts as a hymn writer is critical to correcting the "light" and "frivolous" tendencies of the postmodern church, and perhaps the dark and edgy ones, too. Every biblically mature generation in the church will want to contribute poetry and music to the church's worship but, alas, so will every biblically immature one. Watts makes an excellent role model to guide the new generations of poets who presume to write lyrics for the corporate worship of God's people.